Saturday marked the end of the motorsports year for GeorgeCo. We spent the day on the skidpad at Summit Point, honing our over-steer skills in preparation for winter. There’s nothing like a couple of hours on a skidpad to build your confidence. We also worked on trying to navigate a course around (and sometimes through) the cones while maintaining an unstable attitude. Now it’s time to park the GeorgeCo BMW powered by Beano in the GeorgeCo Garagemahol, look for worn-out parts, and start making preparations for next season. This past weekend was the Spring Driver’s School for the local BMW club. Friday and Saturday were warm and sunny. Sunday was mostly cloudy with light rain. It was a good lesson in car control, but not as much fun as pushing it in the dry. The best thing about the rain is that it equalizes the horsepower advantage of the M-cars. The video shows a lap of the skid pad at large-angle oversteer. This club really emphasizes car control on the skidpad. 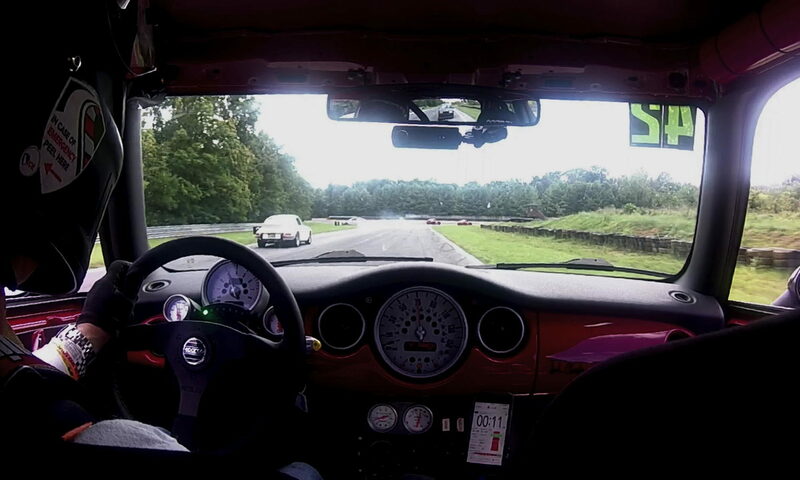 Being able to maintain a full lap in oversteer is one of my last obstacles to finally making it out of the instructor program.